American winger who began his MLS career with D.C. United in 2000. He spent five seasons with England's Reading FC, then returned to the MLS to play for the San Jose Earthquakes, Sporting Kansas City and the New York Red Bulls. He trained at the IMG Soccer Academy in Florida in 1999 and 2000. 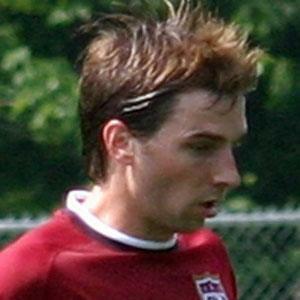 He played for the United States national team from 2000 to 2008. His sister Kelly played soccer at Penn State. He played alongside midfielder Landon Donovan on the United States national team.